The origin of Diwali is uncertain but it can be traced back to ancient India, when it was probably linked to a harvest festival. One of the legends has it that the festival commemorates Rama’s homecoming after 14 years exile ; his subjects showed their joy by lighting up the town. Some others believe that it celebrates the marriage of Lakshmi with Lord Vishnu. 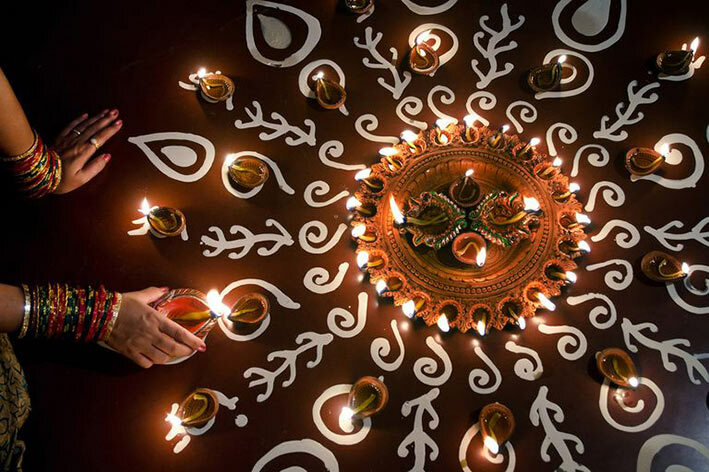 Diwali has a spiritual symbolism ; The lamps symbolise the supremacy of light over darkness.The festival is held on the day of the new moon (Amavasya), thus the night is dark but because so many deepams (oil lamps) are lit, the night is as bright as when the moon is full (Poornima). According to the ancient scriptures, the Puranas, the oil lamp symbolises the sun that gives light and energy to all life. 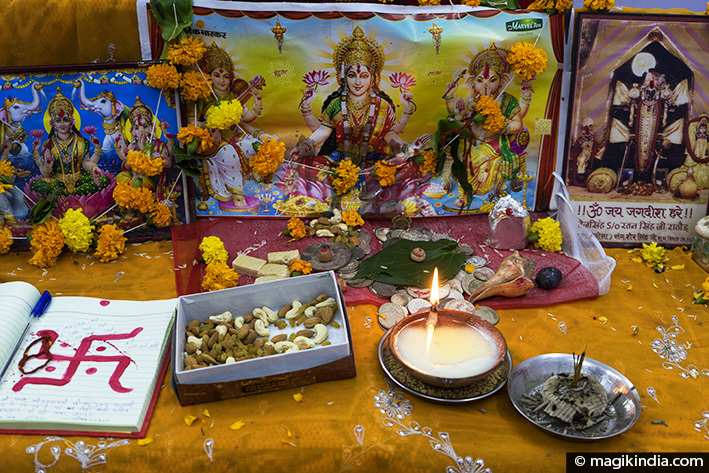 Diwali lasts for three to five days depending on the region of India. Before the holiday begins, the house and offices are tidied and cleaned from top to bottom, like a thorough spring-cleaning. Rangoli (or kolam) patterns are drawn just outside the doors of homes and workplaces to welcome Lakshmi, goddess of prosperity. The meaning of Dhanteras is wealth; dhan means “wealth”, teras is the 13th day. This is the day for celebrating Lakshmi, goddess of prosperity. At this day people make pray to the Goddess Lakshmi to get prosperous life and well being. 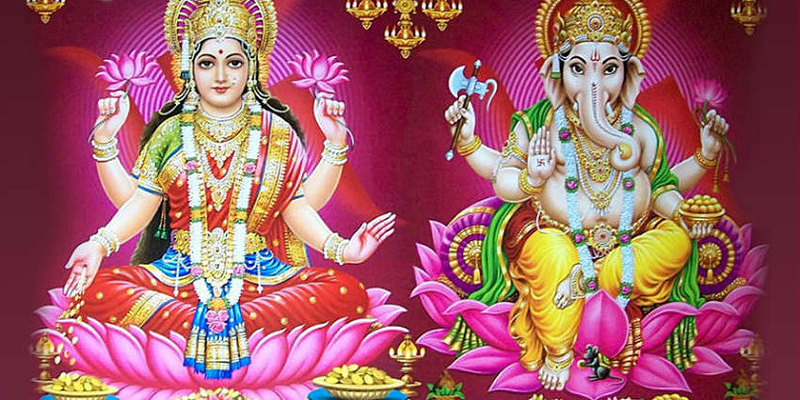 They worship Goddess Lakshmi and Lord Ganesha together. It is also customary on this day to buy new utensils or jewellery or gold. It is considered that Goddess Lakshmi is coming home in the form of new things at this day. According to one of the legends, this is the day when Sathyabhama, Lord Krishna’s wife, destroyed the demon Narakasur to free the world from fear. Puranas have it that Naraka, son of Bhudevi, acquired immense power from a blessing given by Lord Brahma after a severe penance. Under his rule, the villagers suffered a lot of hardship as the demon tortured the people and kidnapped the women to be imprisoned in his palace with his invincible might. Unable to bear the tyranny of the demon, the celestial beings pleaded with Lord Krishna to save them from his torture. But Naraka had a boon that he would face death only at the hands of his mother Bhudevi. So, Krishna asks his wife Sathyabhama, the reincarnation of Bhudevi, to be his charioteer in the battle with Naraka. When Krishna fell unconscious after being hit by an arrow of Naraka, Sathyabhama takes the bow and aims the arrow at Naraka, killing him instantly. It is said Lord Krishna had an oil bath to rid himself off the blood spattered on his body when Naraka was killed. Thus, It is customary for hindus to take a oil-bath before sunrise on this day. This is the Diwali holiday proper, and the most important day. The whole house is cleaned to welcome the goddess Lakshmi. Men and women put on new clothes and women wear new jewellery. 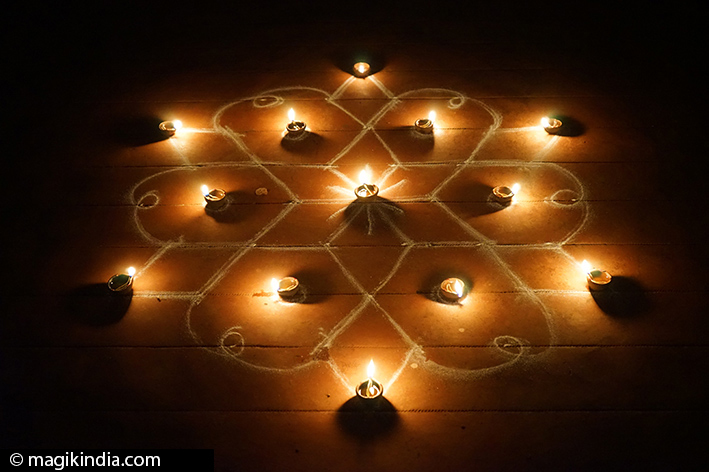 A puja (ritual) to Lakshmi is performed in the evening and oil lamps are lit inside the house and all round the outside. Gifts and sweetmeats are exchanged to strengthen bonds with friends and family. During all evening, fire crackers are let off. According to one belief, the sound of fire-crackers are an indication of the joy of the humanbeings, making the gods aware of their plentiful state. It is also supposed to banish inauspicious forces. For ecological concerns, many voices raised against the use of fire-crackers nowadays ; aside from their potential burn injuries, they cause noise pollution, emit toxic fumes, and create litter. 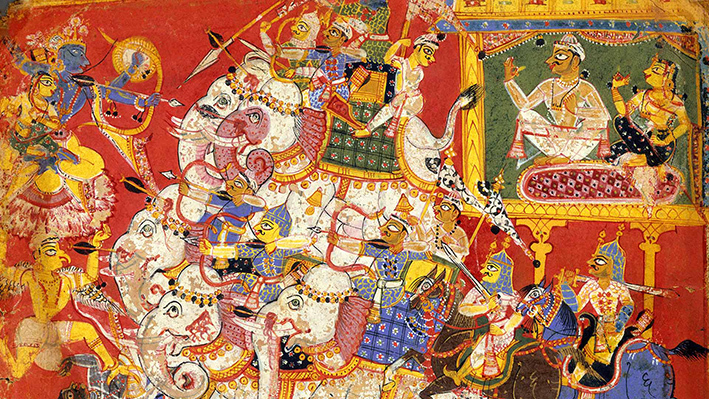 In North India this fourth day is celebrated by a Govardhan puja or “Mount Govardhan ritual”. It is said to be the day when Lord Krishna lifted up Mount Govardhan on his little finger to protect the inhabitants of Govardhan from the anger of the rain god Indra. 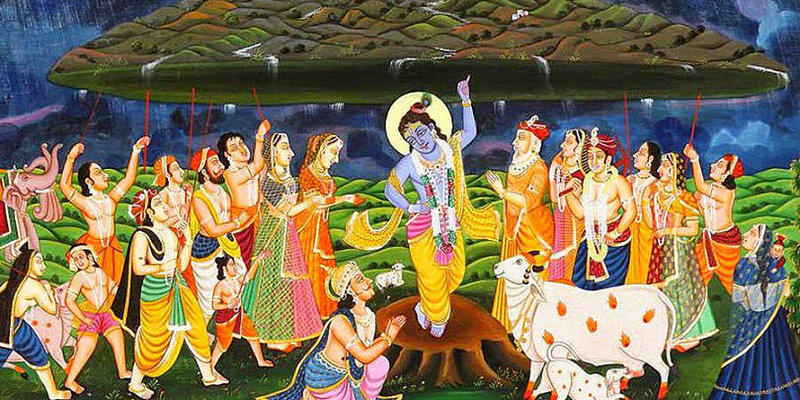 There are many variants of how Govardhan Puja is performed. 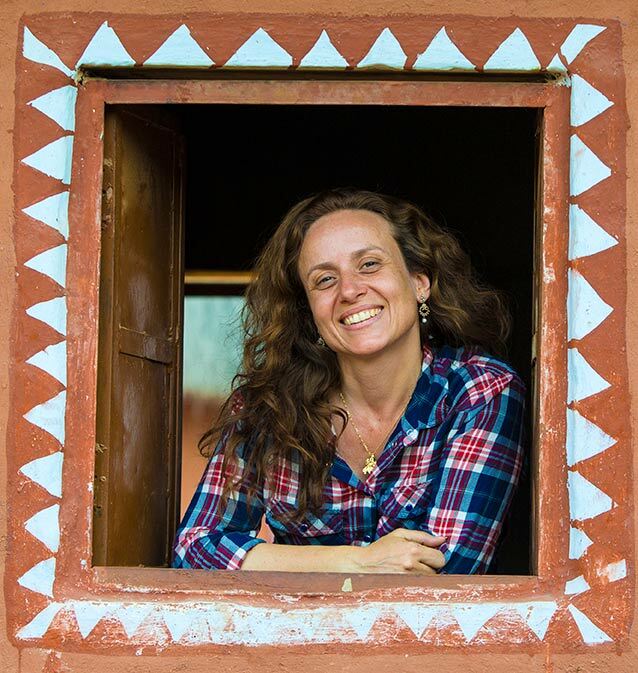 Some worshippers recreate Mount Govardhan by shaping cow dung into a mound outside their front door, some create figures out of cow dung, then make a flame offering before it and decorate it with flowers. 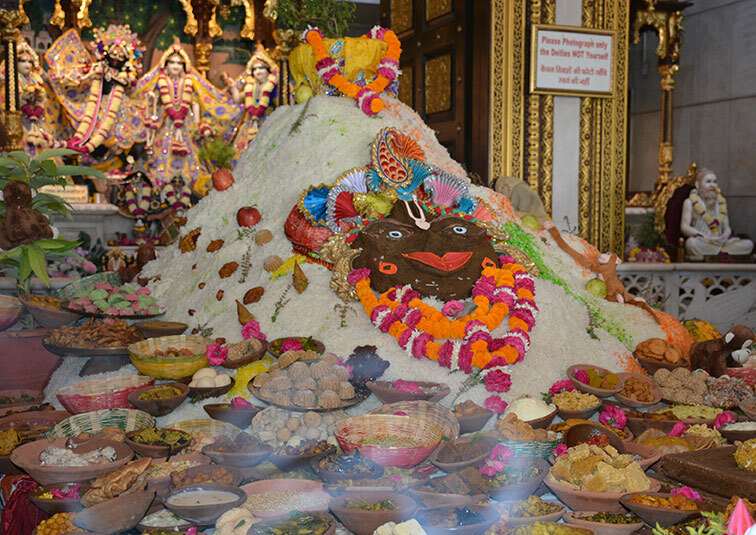 This is also the day for the Annakoot tradition (“mountain of food”). The faithful stay up all night or rise very early and cook 56 or 108 different types of food for the bhog (food offering) to Krishna. In Krishna and Vishnu temples the idol is given a ritual bath in milk and dressed in all its finery. 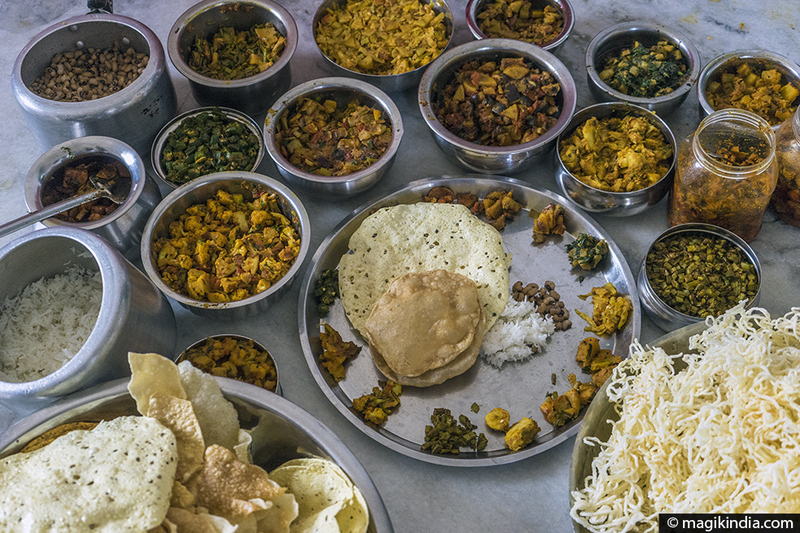 Food offerings are heaped in a cascade all around the altar, after which they are distributed among the faithful as prasad (blessed food). It is dedicated to the brother-sister relationship. Sisters put red tilak on their brothers’ foreheads and pray for a prosperous life, while brothers bless their sisters and give them presents. 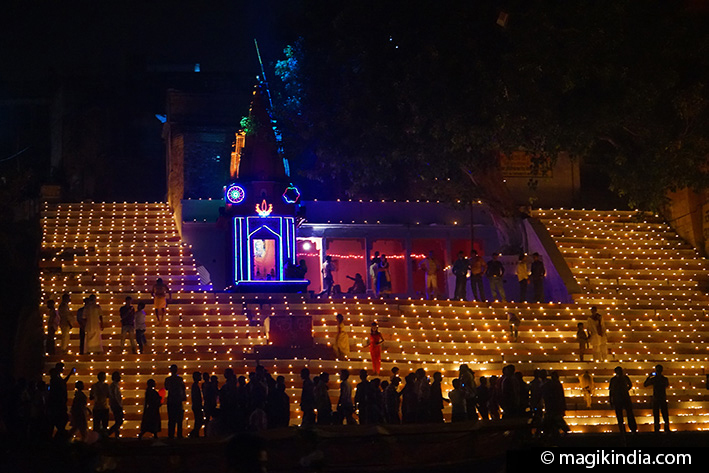 Dev Diwali, “the Diwali of the gods”, is celebrated in Varanasi, India’s spiritual capital. It falls on the day of the full moon, 15 days after Diwali. For this festival thousands of deepams (oil lamps) deck the ghats of Varanasi in honour of Ganga, goddess of the river. Legend has it that on this day the gods come down to earth to bathe in the Ganges. The day of Dev Diwali begins early in the morning with a sacred dip (Snan) in the holy waters of the Ganges. In the evening, a Maha Aarati is held at the Dasaswamedh Ghat; this is becoming the day’s main attraction. This festival draws thousands of worshippers and tourists. Almost all the ghats are jam-packed. Three days before Dev Diwali, The Ganga Mahotsav festival is held and lasts five days. It is a cultural festival with a programme including Indian classical music and dance concerts.